Seeking a Houston three-peat, top seed Steve Johnson fell to a shock 6-3 6-3 defeat to Colombian qualifier Daniel Elahi Galan on Thursday. 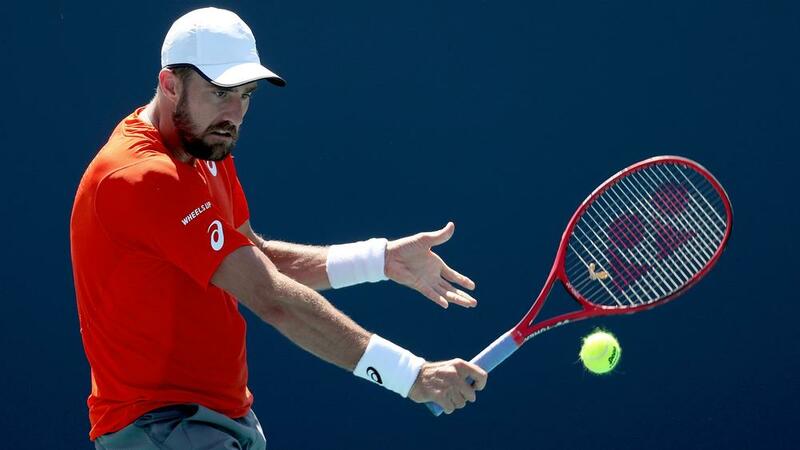 Two-time defending champion Steve Johnson was surprisingly sent packing from the US Men's Clay Court Championship as Daniel Elahi Galan reached his first ATP Tour quarter-final. Seeking a Houston three-peat, top seed Johnson fell to a shock 6-3 6-3 defeat to Colombian qualifier Galan on Thursday. Galan, ranked 241 in the world, broke Johnson three times en route to victory in 74 minutes at the ATP 250 tournament, where Jordan Thompson awaits in the last eight. "He was clearly the favourite and I was a little nervous at the beginning, but I knew what I had to do," said Galan. "I wasn't winning so many matches lately, so this week is a relief for me. I'm playing better and better every day." Australian seventh seed Thompson rallied past Santiago Giraldo 4-6 7-6 (7-1) 7-5 to reach his third quarter-final of the season after almost three hours. Janko Tipsarevic's injury comeback continued with a 6-3 6-4 victory over third seed Cameron Norrie – a win that earned a clash against eighth seed Sam Querrey, who overcame Guillermo Garcia-Lopez 6-4 6-3.